The SMUG Chancellor’s Choice Award is presented occasionally to social media tools that aren’t free but are good values, as judged by the SMUG Chancellor in his sole discretion. Multiple accounts, which means I can engage with both@leeaase and @mayoclinic tweets, and can switch between the two in a few seconds. Subgroups, which lets me pull out “Top Tweeps” to follow more closely from among the more than 1,000 I’m following. Landscape mode Tweeting, which gives me a bigger keyboard for my larger-than-average thumbs. Segregation of @replies and direct messages, and ability to toggle among them quickly through the bottom navigation. 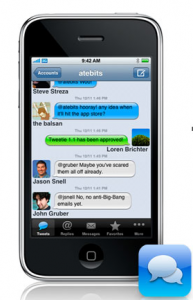 Like Twittelator, Tweetie ($2.99) can handle multiple Twitter accounts. One disadvantage is that when you open Tweetie or switch between accounts you don’t see the little red numbers over the Replies or Messages (as you do in Twittelator) that alert you to Tweets in response to or directed to you. 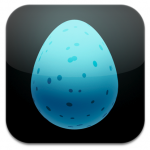 Twittelator is therefore a bit faster for quick monitoring of Twitter accounts. No red numbers in Twittelator means no Tweets that need response. In Tweetie you need to check each tab. Tweetie is just very elegantly designed. 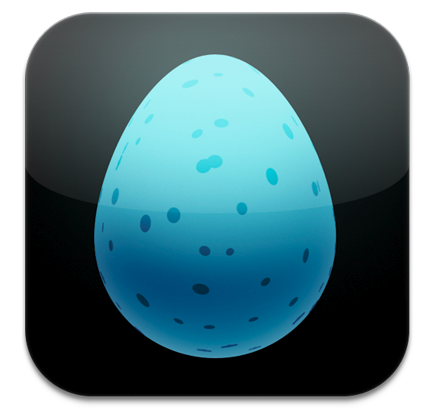 It doesn’t seem to have quite as many features as Twittelator, but the ones it has are stunningly simple. For example, the name of your currently active account is at the top of the screen in Tweetie. That keeps you from mistakenly tweeting a personal message from a work account. Another thing I love is that I can view followers on Tweetie and make decisions to follow them. Even better, the most recent followers are on top, so I can probably disable the new follower email messages from Twitter, and just do all of my Follower maintenance from Tweetie when I have free moments. That will make my email handling more efficient. Either Twittelator or Tweetie will make you more productive than the free Twitter clients for iPhone, but the Chancellor’s Choice goes to Tweetie.